A 1957 Matchless G80 RR. It’s rare; only 50 were made and only 13 exist today. 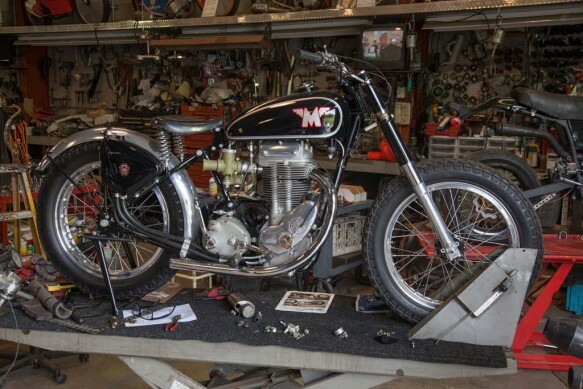 Matchless produced this model to compete with BSA’s Gold Star in American dirt track racing. Davis has spent the last nine years tracking down parts for this bike. 1957 Matchless G80 RR. It’s rare; only 50 were made and only 13 exist today. Matchless produced this model to compete with BSA’s Gold Star in American dirt track racing. Davis has spent the last nine years tracking down parts for this bike.